Meta tags are also useful for telling the browser the HTML version of the page, refreshing the page and telling the browser what window to open. 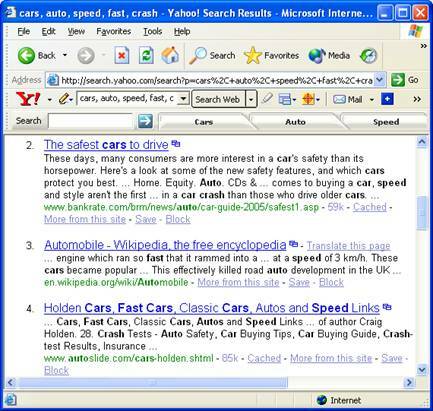 The screenshot below shows the results of a search using the keywords 'car', 'auto crash' and 'speed' to find websites. Note that the keywords found are in bold.